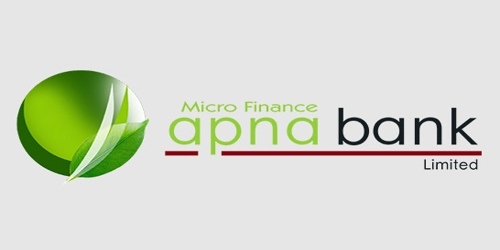 It is a broadly described annual report of Apna Microfinance Bank Limited in the year of 2012. During the financial year, Total Assets of the Bank stood at Rs. 800,380,366 billion compared as Rs. 219,406,764 billion in 2011. Deposits and others account of the bank stood at Rs. 468,024,864 billion. The Share capital of the Bank Stood at Rs. 300,000,000 billion. The Bank posted a loss before taxes of PKR 45.25 million during the year ended 2012 as compared to a loss of PKR 13.98 million in the corresponding period last year. Loss after taxation for the year PKR (45,752,123) million. The loss per share for the year ended 31st December 2012 was Rs.1.52 (Year Ended 31st December 2011: Rs. 0.48). As at 31st December 2012, a minimum capital requirement for the Bank was Rupees 250 million. However, the Bank’s capital (free of losses) stood at Rupees 160.053 million as at 31st December 2012.